The operation of ball mills places severe wear and corrosion loads on the structural integrity of the equipment. 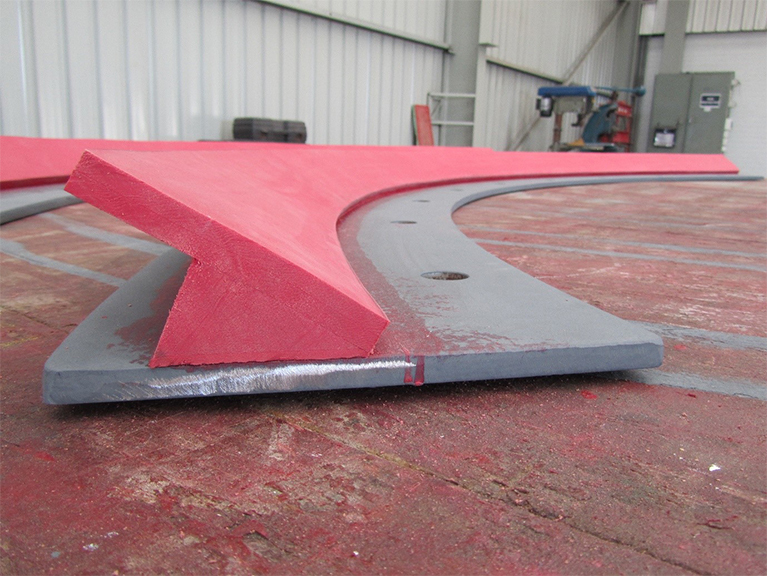 Lining of the internal surfaces of the mill shell prior to lifter bar installation can be carried out in a range of rubber grades to suit the operating environment. Feed and discharge chutes must be lined in heavy duty rubber and or PRO RC rubber ceramic composites. Fabrication of sealing components is also undertaken. This allows for fast turn around times without the need for expensive dies and tooling.